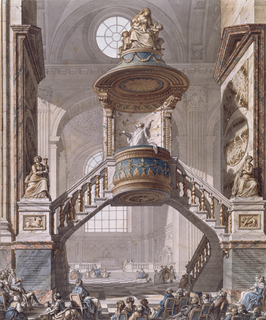 See more objects with the tag collectors, architecture, religion, ornament, display, classical, churches, elevated, motifs, stairs, masterpiece jury, model, preach, historicism. 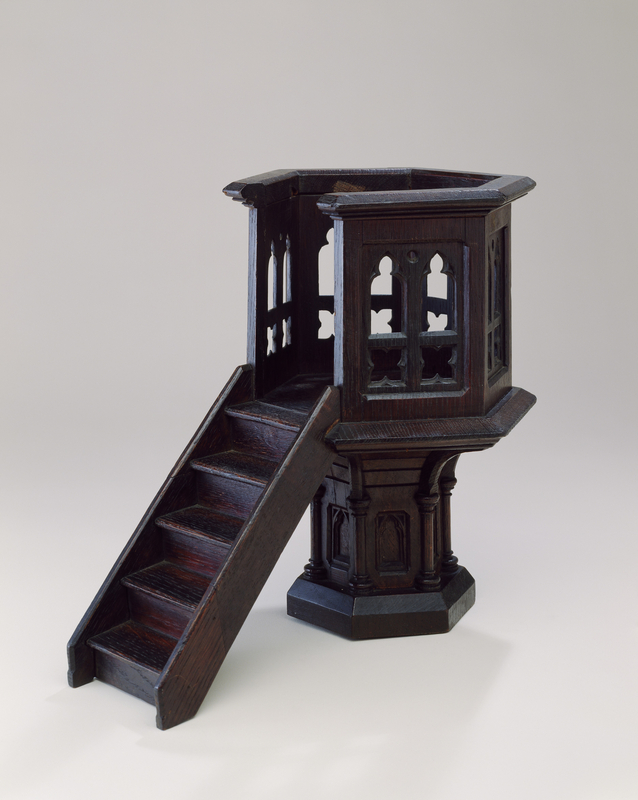 This is a Pulpit model. It is dated ca. 1850 and we acquired it in 2007. Its medium is stained oak. It is a part of the Product Design and Decorative Arts department. 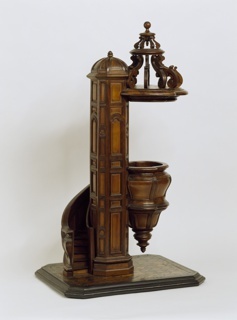 This object was previously on display as a part of the exhibition	Made to Scale: Staircase Masterpieces—The Eugene & Clare Thaw Gift.